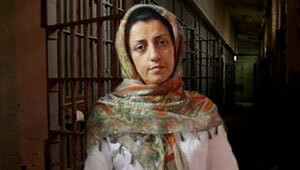 Narges Mohammadi Is The vice president of the " Centre For Human Rights Defenders in Iran " . She is sentenced to 16 years imprisonment for alleged charges created by regime judiciary " threat to national security" ????!!!. Which is nothing but defending human rights of all Iranian and thats the only crime she is charged with by the regime . 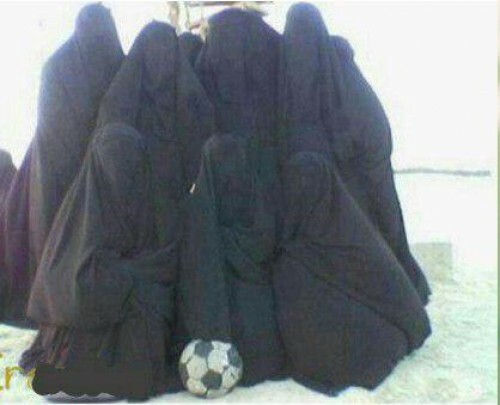 She said once : " You can't imprison our ideals " .
" I am not being sentenced to long imprisoned by accident or by a bad event , but alongside with the informed people of my country i have strived to achieve democracy and equality, and lets be assured that the day i am free , i will again continue for my ideals . These are our ideals : Peace , Security , freedom and equality for all ." In the past days the judiciary agents have arrested nine Bahai citizens. These nine Bahai citizens earlier were sentenced to imprisonment and were imprisoned . Others who have sentenced to imprisonment were also asked via phone to attend at the prison. Mitra Nouri and Parisa Shahid who are sentenced to 15 and 21 months imprisonment. Earlier 22 Bahai citizens from Golestan were sentenced in the court to a total of 193 years imprisonment. All were sentenced to different number of years in prison . 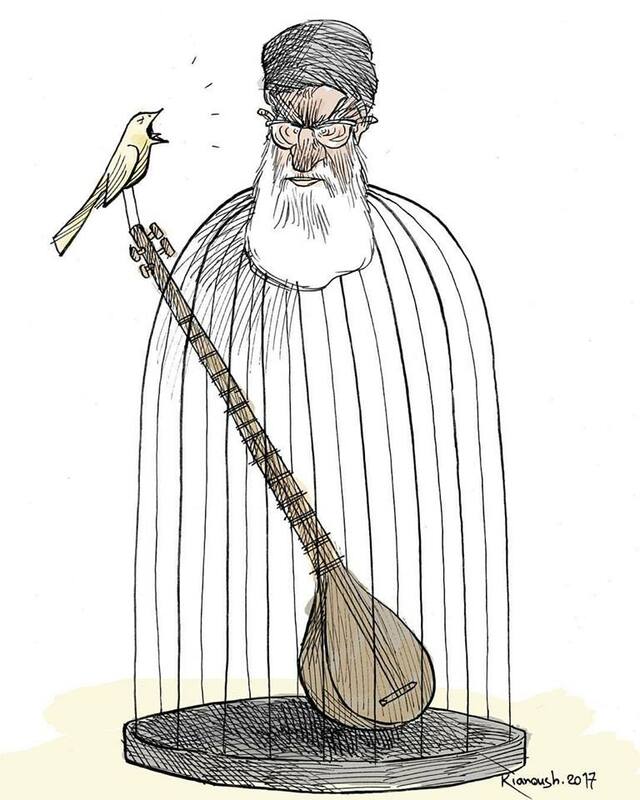 Only Shaham Jazbani ( Minodasht ) and Sheida Ghodosi ( Gorgan ) were sentenced to 11 years imprisonment. 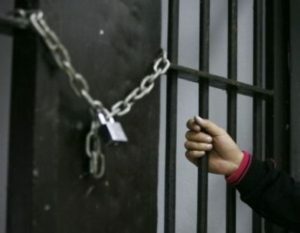 According to the website of the Association of Human Rights Defenders the commemoration of Ezatollah Sahabi , Haleh Sahabi and Hoda Saber was held in the women ward of Evin Prison. 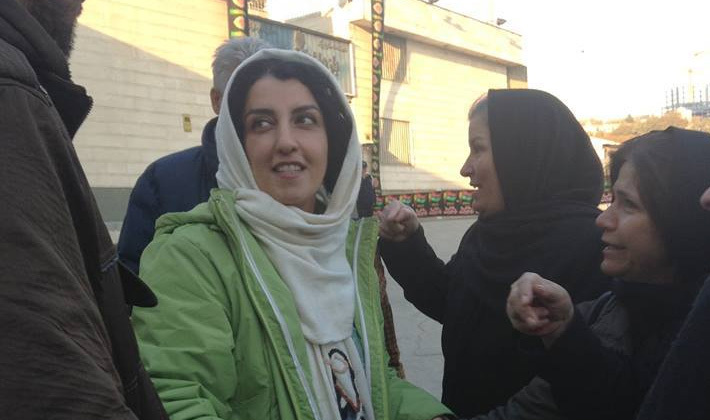 Narges Mohammadi together with other women political prisoners in women ward of the Evin prison commemorated the memories and activities of these three well known political and socio-cultural personalities . Narges Mohammadi spoke about these three Melli-Mazhabi personalities . The late Ezatollah Sahabi was the leader of the Melli Mazhabi group and " Iran Farda" Magazine . Haleh Sahabi was the daughter of Mr. Ezatollah Sahabi and Haleh Sahabi was murdered on the funeral day of her father by the regime agents. 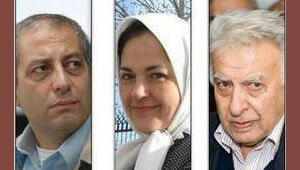 All these three political personalities were on the fore-front of the reformist discourse in Iran. After Regime not permitting the Melli Mazhabi party to hold the commemoration , imprisoned women together with Narges Mohammadi hold the event inside the Evin prison. 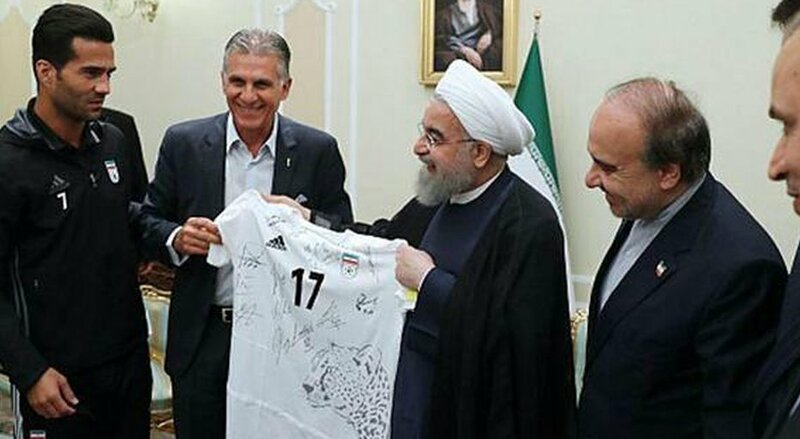 In this meeting the captain of the team Masoud Shjaei requested from the president to prepare a situation so that the Iranian women can enter into the stadium and watch the matches . Mr. Shojaei said that , women make half of the country's population . The video of this meeting and Mr. Shojai's request is also available in Zamane website. 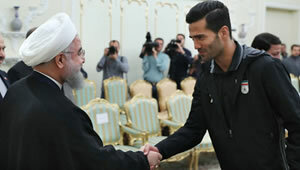 He also said that, i have been playing for years in Soccer and perhaps i wish that my sister and mom will be able to come to the stadium and to see from close range when i am playing . furthermore carried out,” added the judicial official. engage in fast-breaking heedless of this matter. cases since the beginning days of this auspicious month. Brussels, 13 June 2017 (ITUC OnLine): The number of countries experiencing physical violence and threats against workers has risen by 10 percent in just one year, according to the annual ITUC Global Rights Index. Attacks on union members have been documented in fifty-nine countries, fuelling growing anxiety about jobs and wages. The report shows that corporate interests are being put ahead of the interests of working people in the global economy, with 60% of countries excluding whole categories of workers from labour law. “Denying workers protection under labour laws creates a hidden workforce, where governments and companies refuse to take responsibility, especially for migrant workers, domestic workers and those on short term contracts. In too many countries, fundamental democratic rights are being undermined by corporate interests,” said Sharan Burrow, ITUC General Secretary. The ITUC Global Rights Index 2017 ranks 139 countries against 97 internationally recognised indicators to assess where workers’ rights are best protected in law and in practice. § 84 countries exclude groups of workers from labour law. § Over three quarters of countries deny some or all workers their right to strike. § Over three quarters of countries deny some or all workers collective bargaining. § Out of 139 countries surveyed, 50 deny or constrain free speech and freedom of assembly. § The number of countries in which workers are exposed to physical violence and threats increased by 10 per cent (from 52 to 59) and include Colombia, Egypt, Guatemala, Indonesia and Ukraine. § Unionists were murdered in 11 countries, including Bangladesh, Brazil, Colombia, Guatemala, Honduras, Italy, Mauritania, Mexico, Peru, The Philippines and Venezuela. “We need to look no further than these shocking figures to understand why economic inequality is the highest in modern history. Working people are being denied the basic rights through which they can organise and collectively bargain for a fair share. This, along with growing constraints on freedom of speech, is driving populism and threatening democracy itself,” said Sharan Burrow. The report ranks the ten worst countries for workers’ rights in 2017 as Bangladesh, Colombia, Egypt, Guatemala, Kazakhstan, the Philippines, Qatar, South Korea, Turkey, and the United Arab Emirates. The Philippines, South Korea and Kazakhstan have joined the ten-worst ranking for the first time this year. Once again the Middle East and North Africa was the worst region for treatment of workers, with the Kafala system in the Gulf still enslaving millions of people. The absolute denial of basic workers’ rights remained in place in Saudi Arabia. In countries such as Iraq, Libya, Syria, and Yemen, conflict and breakdown of the rule of law means workers have no guarantee of labour rights. In conflict-torn Yemen, 650,000 public sector workers have not been paid for more than 8 months, while some 4 million private sector jobs have been destroyed, including in the operations of multinationals Total, G4S and DNO, leaving their families destitute. The continued occupation of Palestine also means that workers there are denied their rights and the chance to find decent jobs. Conditions in Africa have deteriorated, with Benin, Nigeria and Zimbabwe being the worst performing countries - including many cases of workers suspended or dismissed for taking legitimate strike action. The International Trade Union Confederation has been collecting data on violations of workers’ rights to trade union membership and collective bargaining around the world for more than 30 years. This is the fourth year the ITUC has presented its findings through the Global Rights Index, putting a unique and comprehensive spotlight on how government laws and business practices have deteriorated or improved in the last 12 months. In South Korea, Han Sang-gyun, President of the Korean Federation of Trade Unions, has been imprisoned since 2015 for organising public demonstrations during the candlelight revolution, to prevent the now deposed Park government from passing anti-worker labour laws. Trade union leaders in Kazakhstan were arrested merely because they called for strike action. In the Philippines, the climate of violence and impunity, which has proliferated under President Duterte, had a profound impact on workers’ rights. Working conditions also worsened in other countries such as Argentina, Brazil, Ecuador and Myanmar. Argentina has seen a spike in violence and repression by the state and private security forces – in one case, 80 workers were injured during a stoppage for better pay and conditions. The build up of the 2016 Olympic games in Brazil saw a significant increase in labour exploitation, and the dismantling of labour legislation by the new Brazilian government last year caused a sharp decline of labour standards. In Ecuador, union leaders were forbidden from speaking out and their offices were ransacked and occupied by the government. Problems in the garment sector in Myanmar persist, with long working hours, low pay and poor working conditions being exacerbated by serious flaws in the labour legislation that make it extremely difficult for unions to register. “The challenge is for governments to accept their responsibility to govern for people, not just in the interests of big business, by making laws that respect international labour standards. Even under the most oppressive circumstances, workers will continue to organise unions, and it’s time that politicians stood up for them instead of trampling on their rights,” said Sharan Burrow. The 2017 ITUC Global Rights Index rates countries from one to five according to 97 indicators, with an overall score placing countries in one to five rankings. Ban on expressing “sympathy”Residents in Saudi Arabia, UAE or Bahrain have been warned they could face harsh penalties if they make comments in support of Qatar. (Beirut, June 7, 2017) – The two attacks carried out by gunmen and suicide bombers at Ayatollah Khomeini’s shrine and the Iranian parliament in Tehran on June 7, 2017, were despicable acts of violence, Human Rights Watch said today. The attacks killed at least 12 individuals and wounded at least 42, according to Iran’s Interior Ministry. The Islamic State (also known as ISIS) has allegedly claimed responsibility for both attacks in the Iranian capital. If confirmed, these would be the first large-scale acts of violence claimed by ISIS in Iran. Human Rights Watch expresses its deepest condolences to the relatives of the victims and wishes a speedy recovery to those wounded. Every effort should be made to identify those responsible for the attacks and to bring them to justice. It is also important for Iranian authorities to fully respect their human rights obligations in doing so. The principles of human rights, including the rights of ethnic and religious minorities, the rule of law, and tolerance remain the strongest bulwarks against the fear, hate, and division that those who commit these attacks seek to sow. 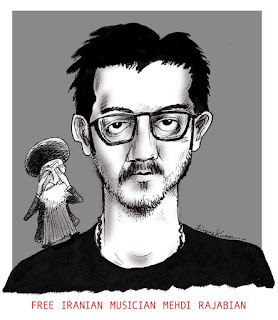 An International Cartooning campaign for Mehdi Rajabian - The Iranian Imprisoned Musician. 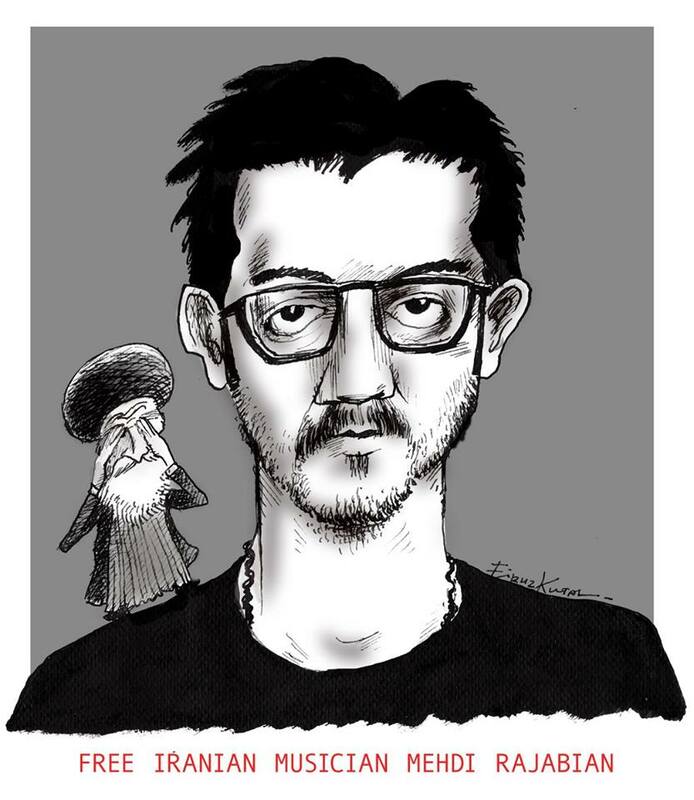 Mehdi Rajabian officially participated and monitored the quality of the publication and the music composition.He was arrested by Iranian security forces on 5 October 2013 in his office and transferred to Ward 2A of Evin Prison and each one was sentenced more than two months in solitary confinement, while this arrest ceased his personal project.When Mehdi Rajabian was arrested, he was recording “Research Album of History of Iran narrated by Setar”, his personal studio, all recordings, hard drives of recorded music were confiscated and the project became silent. 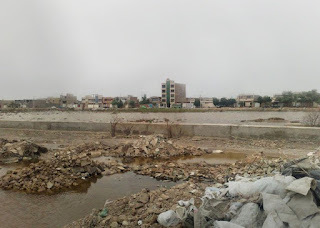 Mehdi Rajabian was imprisoned in the ward 7 of Evin Prison in Tehran, but after a contentious struggle with the judicial officer of the prison was sent to the ward 8 for punishment. After 10 months of the period of imprisonment, he went on a hunger strike to protest against the unjust trial, lack of medical facilities in prison, and his transfer to the ward 8 isolating him from his brother. After 14 days of strike, he called off his strike by the interference of the official representative of the prosecutor sent to the prison as an intermediary. However, he published an open letter addressing the judicial authorities of Iran, could attract the supports of the artists of the world by a 30-day hunger strike, and convince the judicial authorities to give him medical leave for the treatment of diseases arising out of hunger strike. Following that, he could return to the ward 7 too. United Sketches International call all its members and ambassadors to be his voice by drawing about him and send drawings to cartoons@unitedsketches.org as soon as possible. 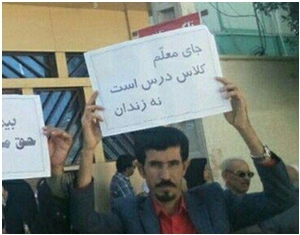 According to a report by " Iran Teachers Union " Mr. Mohsen Omrani an active member of Iran teachers union is arrested and detained in Bushehr prison since May 3rd ,2017 , this is happening while Esmail Abdi another teacher is in prison and on hunger strike. Mr. Omrani is sentenced to a year imprisonment and two years ban from practicing his profession as teacher. 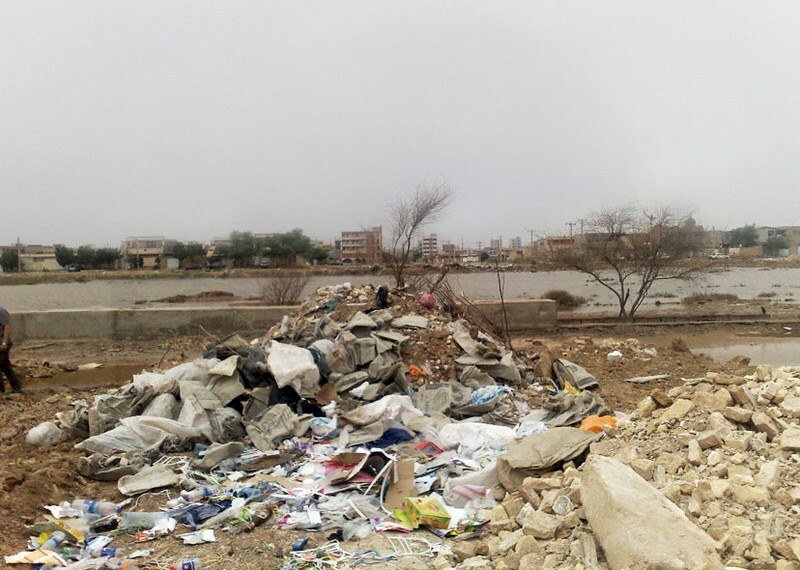 "By attempting to destroy the mass grave in Ahvaz, the Iranian authorities appear to be embarking on a sinister and deliberate effort to destroy crucial evidence of their past crimes." “For years the authorities have inflicted unbearable suffering on the families of the victims of the 1988 extrajudicial executions. 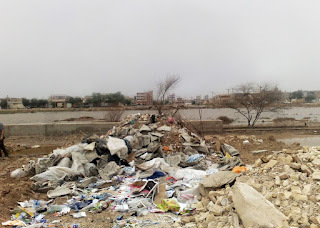 They have denied them the right to give their loved ones a dignified burial and forced them to walk through piles of rubbish to visit their dead. 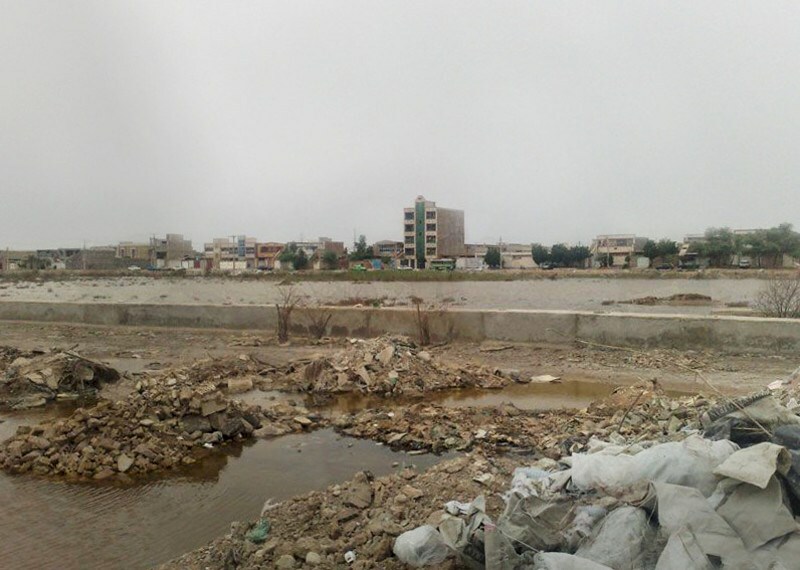 Now they are planning to destroy their final resting place and trying to obliterate their memory from history,” Shadi Sadr, the Executive Director of Justice for Iran." According to news , Narges Mohammadi the vice president of the Association of Iran Human Rights Defenders is transferred from hospital to Evin prison cell again. On last Sunday she was transferred from Evin prison to the hospital with the request from doctors . She was supposed to under go for surgery on her sufferings like , lung disease and muscle paralysis, but at the hospital she was treated temporarily and was transferred to the prison cell again. During her stay in the hospital she was banned by Tehran public prosecutor from any visitation or even phone call to her mom and sisters. 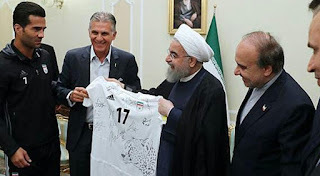 IRAN WATCH CANADA : Just inhuman ...what else can you call it ?!!?? ?